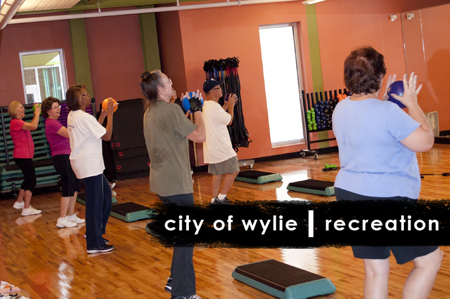 Wylie Recreation Center friends age 50+ were treated to a FREE Fit Forever demo this morning in the aerobics studio. New instructor, Melinda Tuttle guided participants through exercises using hand weights, steps and non-weighted balls. Check out those smiles! It's not too late to join the class! Regular Fit Forever courses start October 19 at 8 am. Recreation Membership Passholders save 15% on the registration fee. Register in-person at Wylie Recreation Center or online (transaction fee applies.) Call 972-516-6360 if you have questions.